HOME CARE AGENCIES 2019 - We share the secrets on choosing one! Home » Home Care Agencies – How do you choose who to use? More and more individuals and their families are now turning to a home care agency for support and care provision. In this guide we give you all the information you need to help you pick the right provider for you or a loved one. What is a home care agency or provider? Are homecare providers a viable alternative to residential care? How can you choose a home care provider who is reputable and competent? 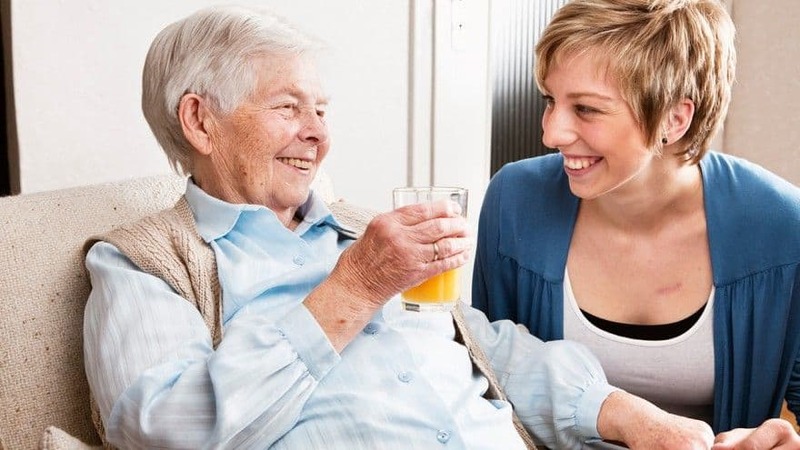 In this section we explore the support home care assistance provides and offer useful, unbiased information to help you to decide whether care provided by domiciliary care agencies is suitable for you. 1. What do home carer companies do? Home care companies provide home care support through a bank of staff vetted and employed by them. They are usually dedicated to providing a certain type of care, whether that’s companionship and everyday tasks such as shopping and errands, or more intensive care provision, including personal care. You may also hear home care assistance providers called, ‘home healthcare’, ‘home care providers’ or ‘domiciliary care providers’. 2. What home care assistance do care agencies offer? Home care agencies usually offer a range of care. They should match a carer to you based on your individual needs, and will try to take into account any personal preferences or religious requirements you may have. Even if you have intensive care needs, there may be homecare agencies in your local area who offer specialised support which cater for you. Work out your budget: Think about how long you’ll need care for and estimate using an average cost rather than the lowest to give you some leeway. Take into account any assets you have and funds such as savings and pensions you could use. Remember to claim all benefits you are entitled to and use these in your calculation. If you need help when working out your care budget you can use our handy Care Calculator. Think about what’s important to you: You may have certain values and qualities which are important to you. You’ll need to trust and have a rapport with the person who will be administering your care. If you prefer a female carer, or would like to know that the same person is coming to see you every time, this could narrow down your choice of care agencies. Get reviews and testimonials: Check online for honest, unbiased reviews and ask around to see whether anyone you know has had an experience with the company you’re considering. Make a shortlist: Once you’ve decided on your criteria you can make a shortlist of good quality care agencies who closely match your budget and preference. Once you’ve shortlisted the care agencies you feel appear to be the best for you, you can contact them to organise a meeting. 4. What does a private home care agency cost? There are of course homecare costs involved in accessing the support home care companies provide. Normally homecare, or home healthcare, is charged at an hourly rate – usually anywhere from £15-30 per hour. Home care costs will depend on the care company you choose and the type of care you need. You can read our detailed guide on home care costs here. You may be able to pay in advance for your care on a ‘retainer’ basis – this means that you pay upfront for a month in advance. Direct Debit plans may also be available, allowing you to ‘pay as you go’ each month without having to worry about receiving bills. It’s not normally common to pay by the hour, unless you receive care on an ad-hoc basis. It’s also uncommon to pay the individual who visits you and administers your care, unless they are working privately as a freelance carer. As with any type of care, it’s a good idea to work out your prospective homecare costs before you access care or embark on the process of choosing a care provider. If you a struggling to fund your care, you can also use certain benefits (and your pension if applicable) towards the cost of support provided by a home care agency. There are 6 main ways in which you can fund your care, whether that be residential or home healthcare through a private home care agency. We have produced a guide to the ways in which you can pay your care fees. We would recommend strongly that you read through this. In addition, Attendance Allowance (available to over 65s) is specifically designed to pay for care in the home. Payments of Attendance Allowance are tiered – starting at £55 and rising to £82. This type of benefit is not means tested – the amount you receive will depend on how severe your care needs are and how frequently you require care assistance and support. 4a – Can you use equity release to pay for home care? The simple answer is Yes. Equity release is increasingly a very popular option when it comes to paying for your home care costs. The main advantage is that it gives you a tax-free lump sum and allows you to live in your own home. You can try the calculator button to see how much money you could get. 5. How do you know if the care support offered is right for you? Mostly, homecare agencies offer support for people who with varying care needs, from low-level assistance weekly with shopping or housework to more intensive care support involving help with mobility and personal care (feeding, washing, dressing and toileting). 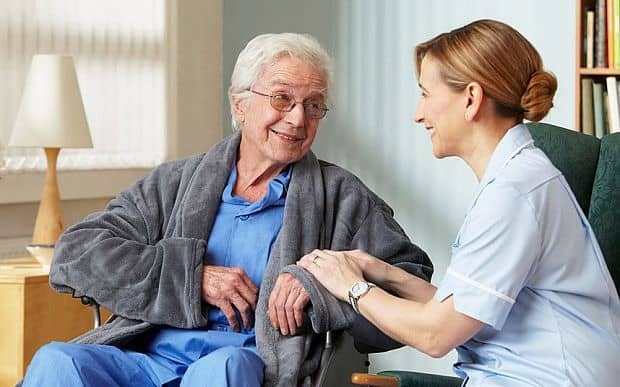 Generally speaking, the home care support an agency will offer are not suitable for those who need specialist nursing care or medical attention, or people with severe mental health problems including late-stage Dementia. Unfortunately residential care is often the only viable option in these circumstances. To find out whether support offered by in home care providers are right for you, there are a number of steps you need to take. Firstly you’ll need to obtain a care needs assessment. You can do this by speaking to your GP, consultant or social care worker. They’ll arrange for an assessment to be made by a medical professional which gives a detailed idea of what you’ll need now. It may also give recommendations for the future. Once you have a care assessment you can search for home care providers in your area who will accommodate the needs you have. 6. How do I choose from so many home carer companies? Choosing can feel like an overwhelming prospect when you are faced with a large number of care agencies, all appearing to offer similar services, all claiming to be the ‘best’. If you want to spend the time and do things yourself, we have produced a guide to help you through the process – It’s called the 5 steps to find a care agency. If however, you decide that going in to a care home is the right option for you, then here is our short video that sets out the 5 steps to finding a care home. 7. What types of people work for a homecare provider? Health agencies normally take on staff who have a genuine interest in helping others, and a caring attitude. Mostly they require experience in a care giving role of some sort, whether that is in childcare, or in a nursing home. Everyone you come into contact with through a care agency should be DBS (Disclosure and Barring Service) checked and approved, and should have relevant training if they are going to be lifting or carrying out specialist activities. Some carers may be medically trained – these are usually healthcare assistants or nurses. 8. How do I know if home care providers are reputable? The best way to ensure that the care agencies you are considering are reputable is to check online for reviews, or ask around to see if anyone you know has had an experience with them previously (good or bad). Word of mouth testimonials are the only sure way to know that the service you’ll get will be as good as you expect it will be. You can also check the official reports made by the CQC (Care Quality Commission), and ask if the care agencies you’re considering are members of the UKHCA (UK Home Care Association). There’s more on this below. 9. Are private homecare agencies regulated by any central body? Yes. a home care provider is subject to checks in the same way as residential care homes are. The UKHCA is the official regulatory body for care agencies in England, Scotland and Wales. Membership isn’t compulsory, but it is therefore the sign of a responsible reputable private care agency. Home care agencies vetted by the UKHCA are subject to strict, frequent checks and must attend training in order to maintain a high standard of care. All agencies are also subject to regulation and inspection by the CQC (Care Quality Commission). This is the official body which also assesses care standards in nursing and residential homes. 10. What can I expect when I contact a home care agency? Each company has a slightly different process – but broadly the following should occur when you contact a private care agency. Introduction: Good quality agencies will introduce you to the carer or carers who are going to be visiting you. This gives you a chance to meet them before they start to administer care. At this stage you can ask to change if you aren’t comfortable with the person you have been paired with. Assessment of care needs: The care agency will ask you for some details about yourself. This will help them to determine whether the service they offer is appropriate for you – and if so, how they can administer care in the best possible way. At this stage they may also ask to be notified of any personal preferences you have. You may like to let them know that you’re happy for them to liaise with family members as well as yourself if appropriate. Trial period: You may be offered a trial period, which enables you to see whether you are likely to bond with the carer that is being proposed. Care packages aren’t normally offered on a contractual basis, but this period allows you to make a decision as to whether you’d like to continue accessing services from this company in particular. Openness and feedback: Your care agency should encourage feedback (good and bad). They should be open to comments and you should feel as though you are able to change carers or service providers if needed. If you feel you have been treated badly or unfairly by an agency, or their conduct has not been as you would have expected, you can complain to the CQC.